I am pleased to announce that the Auburn Invitational Tournament will be held on Saturday, February 17th, 2018. The tournament will be hosted on the Auburn University campus in the Haley Center (351 W Thach Concourse, Auburn, AL 36849). This tournament will be open to all interested high school teams from Alabama and beyond. QUESTIONS: This tournament will use NAQT set #IS-168. This event will be a qualifier for NAQT's High School National Championship Tournament (HSNCT) in Atlanta, GA from May 25-27, NAQT's Small School National Championship Tournament (SSNCT) in Rosemont, IL, and will also seek to become a PACE NSC qualifier. This is the ONLY mirror of this set in Alabama this year, and we hope to draw lots of teams. This is a regular difficulty high school question set which will be appropriate for experienced teams and newcomers alike. We ask that teams arrive between 8:00-8:30 A.M. on the day of the tournament. Expect an opening meeting and games to begin shortly thereafter. This tournament should end no later than 5:00 P.M. for all teams not playing in finals. For now, we will cap the field at 16 teams. If there is sufficient interest, we will attempt to expand and should be able to. Format is TBD based on field size, but we will try to guarantee every team at least 9 games. This tournament will follow standard NAQT rules, except rounds will be untimed 20/20 with comp math tossups removed. Powers (15) and negs (-5) will be in effect, and no worksheets will be used. Bonuses will not bounce back. Teams will be limited to a maximum of six players. Schools with more players should register an additional team. -$5 for each WORKING buzzer set a school brings (no limit!). PLEASE BRING YOUR BUZZERS. WE DO NOT OWN A SET. IF TEAMS DO NOT BRING THEIR BUZZERS, WE WILL HAVE TO PLAY SLAPBOWL. -$15 for each capable moderator (not scorekeeper) from a school. -$10 per team for a school traveling more than 100 miles (one way). -$20 for a team that is new to quiz bowl (defined as not having played a tournament for two years prior to September 1, 2017). If money is an issue, contact me about it. I'm sure we can work something out and make it possible for your team to play. Email me at westchandler24@gmail.com to register. Include "Auburn Invitational Tournament" in the subject. Include how many teams, buzzers, etc. you intend to bring. We can accept cash or checks on the day of the tournament. Please make checks out to "Auburn Quiz Bowl" and not me personally/the university. Any other questions, comments, or concerns can be posted below, or emailed to me at westchandler24@gmail.com. We hope to see lots of teams on the Plains on February 17! Last edited by 100% Clean Comedian Dan Nainan on Wed Nov 29, 2017 5:04 pm, edited 1 time in total. Last edited by 100% Clean Comedian Dan Nainan on Mon Feb 19, 2018 11:20 pm, edited 32 times in total. I didn't think of this when I initially announced this tournament, but I have been asked about the possibility of a separate JV field. I am completely open to this tournament having a separate JV division, as long as there is enough interest. If there are at least 6 JV teams that register, we'll run a separate JV division as long as that still leaves us with plenty of teams for a Varsity division. If running two divisions would give us two smaller fields (say, 8 Varsity and 6 JV as opposed to one 14 team division), then I will allow coaches to vote for which method they would prefer. As our field is now at 13 teams, it looks like we will probably hit our initial cap of 16 teams. Also, there will almost certainly be a separate JV division at this tournament. I will evaluate our ability to expand the field internally over the next 2 weeks. If we are unable to expand with the resources we have, then teams past the 16th team will be placed on a waitlist, with priority given first to teams who can provide staffers, and then to teams by the order of their registrations. With Auburn High's registration, our initial field cap has been reached. I will see if we have the capability to raise the field cap in the coming days. We have enough rooms reserved for 24 teams. Teams able to provide a staffer will be given first priority in getting off of the waitlist. After checking on our staffing situation, I can confidently say that this tournament will be able to accommodate at least 20 teams, and I have raised the field cap accordingly. We currently stand at either 17 or 18 teams, and will definitely have a separate JV division as long as there are no drops. With the field at 22 teams, I am going to cap the field and put further teams on a waitlist again. We have enough rooms reserved for a few more teams, so if others want to come and can provide a staffer, I will let them into the field. Teams can expect a logistics email closer to the tournament. Varsity will be split into two preliminary brackets of 8, which I will post publicly the week before the tournament so that coaches may let me know if they believe I've made an egregious error. After preliminary rounds (and lunch), teams will be rebracketed into 4 brackets of 4 to play 3 playoff games. All teams must stay for ALL rounds! We anticipate being done no later than 5 P.M. Junior Varsity will play a double round robin, for a total of 10 games. There will be an advantaged final in each division if necessary. Trophies will be awarded to the top 2 varsity teams, and the top JV team. I'm currently unsure if there will be individual awards. I'm assuming that varsity will play 10 rounds ... unless you are planning on a final? Yeah, 10 games (7 prelim +3 playoff), and a final if necessary. Sorry if that was unclear. We've had 3-4 spots open up in our field. Let me know ASAP if your team would like to play. I'm happy to announce that this tournament has been Platinum certified by PACE, meaning that the top 25% of teams will qualify for the 2018 PACE NSC (http://www.hsquizbowl.org/forums/viewto ... =2&t=20630) in Reston, Virginia. Below is the full logistics email for the Auburn Invitational Tournament to be hosted at Auburn University this Saturday, February 17. Please let me know ASAP if you can no longer come to this tournament. LOCATION: The tournament will be held in Auburn's Haley Center, located at 351 W Thach Concourse, Auburn, AL, 36849. Haley Center is an old brick building. Our Opening meeting will be in room 3195. 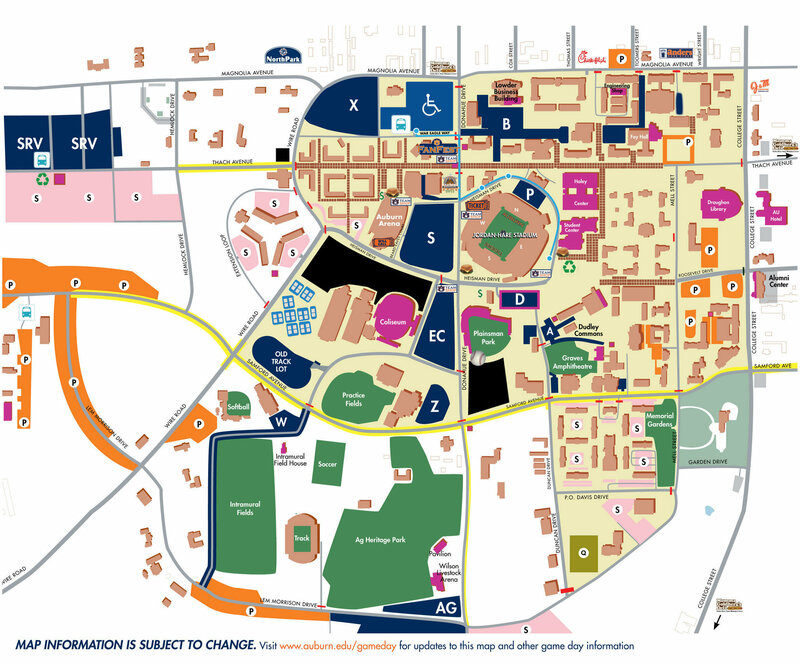 PARKING: Teams are advised to park in the stadium parking deck, directly across from Jordan Hare Stadium. It is about a 10 minute walk from the Haley Center. It is labeled "D" and colored navy blue in the map found at this link. Parking is free on weekends. If you have trouble finding the lot for some reason, call me. TIME OF ARRIVAL: Check in will be from 8:00-8:30 A.M. Teams should not arrive before 8:00. If you are bringing a scorekeeper or moderator, please try to arrive by 8:15 A.M. if at all possible. There will be a short meeting after all teams have arrived, and then gameplay will begin. WAIVER FORMS: Please don't forget that all competing students must fill out a waiver form and bring it to the tournament in compliance with Auburn's minors on campus policy. I have attached another copy of the form to this email. RULES: We will be using standard NAQT rules, with a few exceptions. Games will consist of 20 tossups and up to 20 bonuses per round. No computational math tossups or bonuses will be read. Tiebreakers will be sudden death, meaning that the first team to score wins. Powers (15 points for answering early instead of 10) and negs (-5 points for answering incorrectly while the question is still being read) will be in play. Bonuses will not bounceback. 4 players may play at a time, with substitutions at halftime and a maximum of 6 players per team. SCHEDULE: We have 16 varsity and 6 JV teams. Teams in Varsity will be bracketed into 2 pools of 8 for 7 preliminary games. After preliminaries, ALL teams will be rebracketed into 4 pools of 4 to play 3 playoff games, for a total of 10 games. We are asking all teams to stay for all rounds. JV will play a double round robin, meaning all teams will play the other 5 teams twice each, for a total of 10 rounds. We will play finals between the top 2 teams in each division if necessary. The top 2 varsity teams and top overall JV team will receive trophies. We should finish no later than 5 P.M. Full statistics will be posted on NAQT.com afterwards. LUNCH ACCOMMODATIONS: Auburn will not be providing lunch to attending teams. The Student Center located directly next to the Haley Center has a Chickfila, Starbucks, and a restaurant similar to Panera Bread that are open on Saturdays. Coaches and players should plan accordingly. There are also vending machines in the Haley Center. Varsity will have lunch after round 7, and JV will have lunch after round 5. If you believe I made an error with the varsity pools, please email me to state your case. It is entirely possible I have made an error in evaluating some of these teams. A FEW OTHER REMINDERS: If your team registered buzzers, please bring them. If teams forget their buzzers, we may be forced to play slap bowl. Please be sure to make checks out to "Auburn Quiz Bowl". We cannot take checks made out to "Auburn" or "Auburn University". If you're unsure what you owe, email me. You may want to bring snacks for your varsity players, as we are playing 7 rounds before lunch. We will try and move as quickly as possible in the morning. IN CASE OF EMERGENCY: My phone number is [redacted]. If you have an emergency on the morning of the tournament (or the night before) and can't make it, please call and let me know. I've also been told the Haley Center can be hard to navigate, so if you have trouble finding room 3195, don't hesitate to call and we can send someone to find you. QUESTIONS, COMMENTS, CONCERNS: If you have any questions, please email me ASAP so we can get them figured out. I look forward to seeing all of you this Saturday, and think you for your interest in our tournament. Last edited by 100% Clean Comedian Dan Nainan on Mon Feb 19, 2018 11:25 pm, edited 1 time in total. More coherent statistics should be posted to NAQT soon. Team "Yuh, Dat Way" won our varisty division by defeating LAMP A in the final rounds of the playoffs. LAMP A elected to not play an advantaged final. The top playoff bracket was rounded out by Auburn A and Hewitt-Trussville A.
Hoover won our JV division by clearing the JV field by 2 games. LAMP B took second at 8-2. We hope all of the teams that attended had a good time, and will come to future tournaments we host. Because of many mishaps, including a few things out of my control, this tournament ran a little long and was generally not up to the standard that I set for myself when directing a tournament. For this, I apologize to all of the attending teams, and especially our top 2 teams for having to wait awhile to play their last match.